Were 180 Workers Fired Over Prayer Breaks? At a Cargill plant in Colorado, religious liberty has come up against the hard requirements of profitability. The Somali refugee community of Colorado has struggled with cultural conflict for years, transitioning from life in war zone to homesteading in Middle America. But now a surprisingly quiet cultural quirk has come between them and their new livelihood: a prayer. Just before Christmas, about 180 Muslim workers were abruptly fired by a Cargill beef processing plant over a dispute about prayer at work. 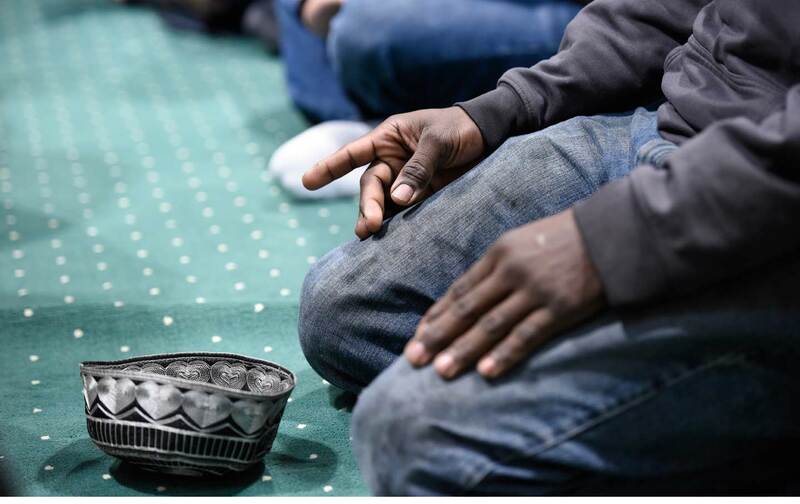 After clashing with management over what workers described as an sudden change in the enforcement of workplace prayer rules, the workers, mostly Somalis, stopped work on December 18 after sundown prayer time. They were dismissed on December 21. And Fort Morgan, Colorado, became the latest flashpoint in the converging national debates over civil, religious, and labor rights. Cargill, which employs more than 2,000 local workers, insisted it had exhausted all “reasonable” attempts to provide fair accommodation for Muslim prayers, which are generally conducted five times throughout the day. Spokesperson Mike Martin told the Fort Morgan Times that Cargill was adhering to established policies on prayer time. But the Muslim workers say it was in fact their supervisors who had arbitrarily flouted longstanding procedures for accommodating workplace prayer. According to Jaylani Hussein, spokesperson for the Council American Islamic Relations (CAIR), supervisors told workers, “If you want to pray, go home.” So workers called the boss’s bluff; 160 workers reportedly did not come to work, and “fewer than 20” walked out, with another ten resigning. Under the regular policy, the Somali workers would find time to pray during paid or unpaid breaks. Though intervals of prayer times vary seasonally, prayer sessions were typically staggered to accommodate the plant’s operations. Last month, according to local news reports, the workers said they were repeatedly met with hostility or threats from supervisors when requesting prayer breaks. Since 2009, Cargill has provided workers with a non-sectarian “reflection room” for praying, and over the years, Muslim workers have generally worked through compromise with management to manage prayer schedules. However, CAIR, which is aiding the protesting workers, notes that there have been occasional incidents in which workers were reportedly discouraged from engaging in prayers at work. The latest cultural conflict at the plant mirrors a similar incident in 2011 reported by The Denver Post, in which a worker complained she had been threatened with dismissal when she took an authorized break to pray and returned two minutes late. Currently, workers are filing for unemployment claims and trying to get their jobs reinstated immediately, circumventing a previous mandatory six-month waiting period for rehiring [Update: Cargill announced on January 8 it would allow workers to be rehired within 30 days rather than the usual 180-day period]. CAIR says it hopes to resolve the dispute soon but is prepared to intensify the legal pressure, as it has in other instances of anti-Muslim workplace discrimination. In addition, CAIR says the union representing the workers, Teamsters Local 455, has failed to defend the Somali workers and reportedly undermined their protest by encouraging some workers to return to work before the dispute was resolved. “The union who was supposed to really be advocating for this group has really provided no such support, according to our clients,” Hussein says, adding that when the group directly approached the union’s office, they were refused a meeting “indefinitely.” The Teamsters have not yet responded to The Nation’s request for comment. In CAIR’s view, the conflict likely stems from the management’s ignorance and confusion about the prayer protocol among supervisors, rather than intentional discrimination. But the appearance of anti-Muslim bias is hard to ignore in the current political context of raging Islamophobia nationwide. Hussein says, “Just how people feel, and the conversations I’ve had with some of these people—did convey concerns that there could be potentially a backlash from what’s been happening” in the social and political atmosphere. Fort Morgan has grappled with integration issues since an influx in Somali refugees since 2005. There have been periodic cultural and social rifts, including tensions with law enforcement and problems of youth alienation at school. The community has also been targeted in several incidents of car vandalism. But community groups have made strides in linking immigrants to jobs at the Cargill plant, a major local employer, and helping the community build cohesive social networks and integrate into life in a quiet middle-American town. That narrative lies at the heart of the prayer dispute: What the workers have demanded is just the ability to do their job and live freely—a dignified existence that is legally protected under the Constitution, and historically has been strengthened by labor rights and worker solidarity. For Muslim workers at Cargill, the question of prayer is not completely about the ritual itself. Workers are entitled to the peace of mind of knowing their society will not force people to choose between making a living and honoring culture and spirituality. That’s not a religious accommodation, or even a workplace benefit; it’s a human right.